Wormwood has had many useful medical applications. In fact, the first known mention of wormwood is in the Ebers papyrus, a medical document dating to 1550 B.C. The Egyptians and many later cultures used it as a vermifuge, and the name "wormwood" may refer to this property of ridding the body of worms. It was also thought to prevent the plague. The foliage was smoked by some American Indian tribes, inducing visionary states during religious ceremonies. Russian peasants thought that wormwood's bitter taste was because of the herb's "absorption of bitter human suffering." 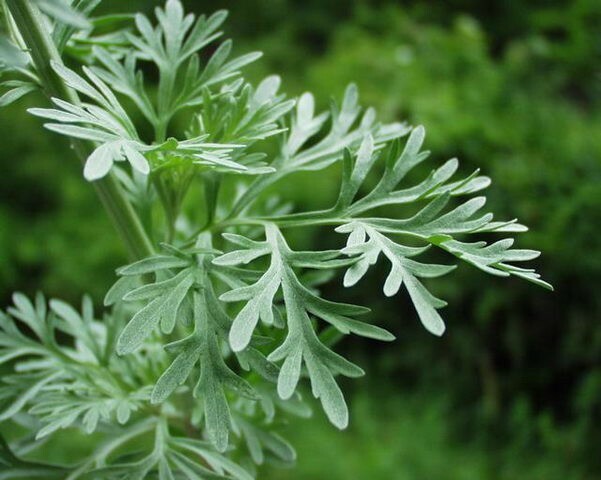 Wormwood is best known as the primary ingredient in absinthe. Absinthe enjoyed some popularity as well as some controversy in the mid 19th century. It was thought to inhance creativity. Celebrated absinthe drinkers included the painters Lautrec, Gauguin, Manet, Van Gogh and Picasso, along with the writers Rimbaud, Verlaine, Oscar Wilde, Edgar Allen Poe and Jack London. Absinthe is the main source of wormwood's notoriety. There is simply no other beverage which has been surrounded by so much mystique and ceremony. Its mystique is of course helped by the fact that the liqueur has been banned in most countries since the early part of this century. Absinthe remains controversial today. The psychoactive principles are not well understood. The seeds are easy to grow and bloom into an attractive, silvery plant.